Mullery Auctioneers are proud to welcome you to this tastefully presented owner occupied apartment situated in Lui na Greine on the Western Distributor Road. 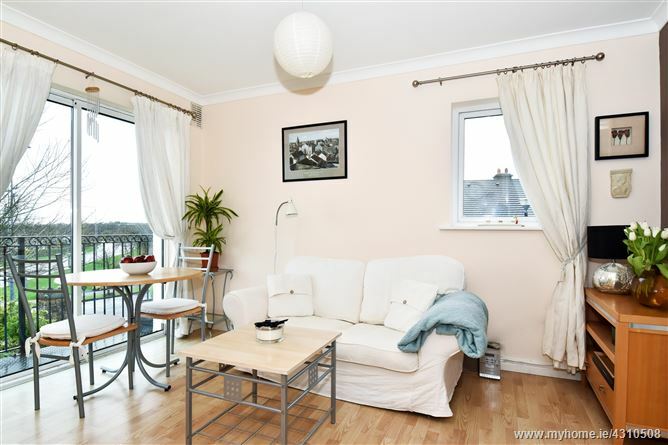 Number 8 is a two bedroom first floor apartment situated in a small block within this well maintained development. The apartment is ideally positioned within the block with the living/ dining room/ kitchen enjoying a sunny south westerly aspect. The property, which has been meticulously cared for by the owner, benefits from a balcony off the living area, Pvc double glazed windows, built-in wardrobes to both bedrooms and electric heating with upgraded heaters to the hall and living/ dining room/ kitchen. The accommodation comprises entrance hall, open plan living/ dining room/ kitchen, 2 bedrooms and bathroom. Lui na Greine is a beautifully maintained development situated adjacent to the Cappagh Road and conveniently located close to local amenities including shops, supermarkets, primary and secondary schools, public transport, Church and leisure facilities at Cappagh Park, Barna Woods and Silverstrand Beach. The location is adjacent to a bus service which offers several routes. Viewing is highly recommended for anyone seeking a home or indeed investment opportunity in this desirable location. Hall:	With laminate floor, ceiling coving, hotpress. Room/ Kitchen:	16’ x 13’ (max) With fitted wall and floor units, stainless steel sink unit, mosaic tiled splashback, cooker, fridge/ freezer, washer/dryer, laminate floor, ceiling coving, sliding door to balcony. Bedroom 1:	10’8’’ x 10’ With laminate floor, ceiling coving, built-in wardrobe. Bedroom 2:	10’5’’ x 7’6’’ With laminate floor, built-in wardrobe. Bathroom:	Bath with shower attachment, WC, whb, part tiled walls, shaving light, “Dimplex” heater. Communal landscaped areas and parking.